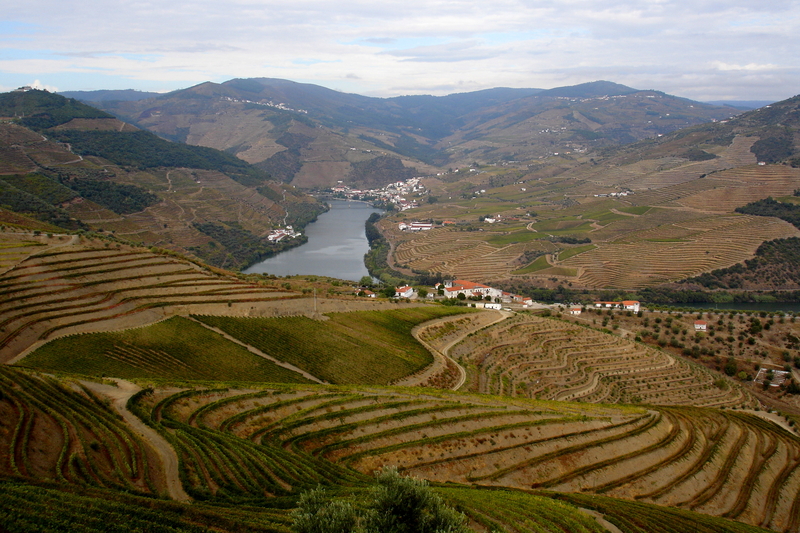 If you have to describe the Douro Valley in Portugal with one word it is – commitment. Commitment over centuries. To carve out the 45 000 hectare vineyards on slopes of sometimes more than 35-degree angles has taken a massive effort over hundreds of years. Many of the stone terraces are real works of art, with production ranging from 2 – 5 tons per hectare. These terraces with their massive stone walls that have two rows of vines on each, certainly represent a very long-term investment. Most of the vineyards cannot be mechanised and require 1 000 working hours per hectare each year. That makes it one of the most expensive locations in the world at which to grow grapes. Fortunately, both Charles Symington (Grahams, Warre’s, Dows, Vesuvio, Cockburn, etc) and David Guimareans (Taylor, Fonseca and Croft) report that there is a shift away from the cheap ruby style towards the premium styles like 10, 20, 30 and 40-year-old Tawny, Vintage and Late Bottled Vintage. Another trend that makes the massive investment in infrastructure more viable, is the influx of huge numbers of tourists. Both the Symington family and Taylor, Fonseca and Croft have invested in tourist attractions like tasting rooms, restaurants and hotels. At Grahams (Villa Nova de Gaia) you can dine at a world-class restaurant (Vinum), overlooking the beautiful Douro River and the historic buildings of Porto. The Yeatman, a five-star hotel with a two-star Michelin restaurant, is another world-class facility with cuisine that matches the finest in the world. When I first visited the Douro Valley in the 1980s, it took at least three-and-a-half hours’ to drive from Porto to Pinhão. Today the modern highway allows you to do it in just over an hour. In those days, with many quintas (estates) without electricity, most of the Port was aged in the well-known Port wine town Villa Nova de Gaia in the Porto District. 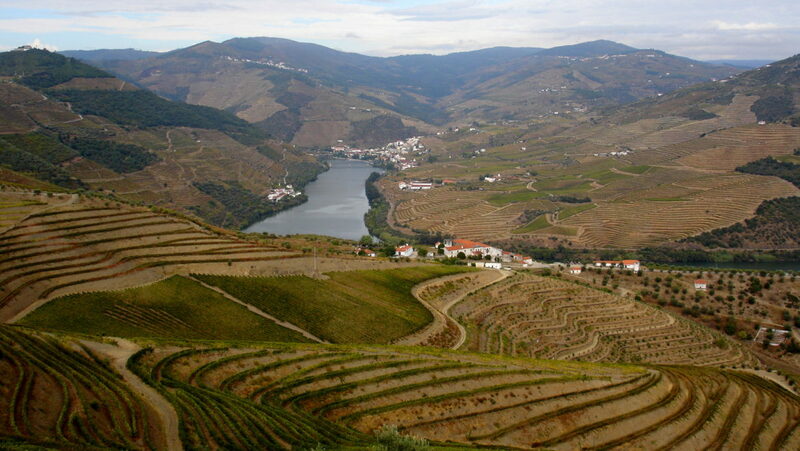 Today many quintas age their Port in the Douro Valley. Huge riverboats take tourists from Porto to Pinhão along the most scenic vineyards in the world. You can also go by train and during weekends the old steam train is a wonderful option for this route at 500 euro per head. Another interesting development is the grafting of world-class red table grape vines wines from indigenous cultivars like Touriga Nacional, Touriga Francesa, Tinta Barocca and Tinta Cão that were once used exclusively for internationally renowned Ports. Wines like Chryseia, which is a joint venture between Bruno Prats and the Symington family, can rival the best from red wine areas across the world. The great 2011 vintage also cemented the quality perception of the Douro, with Charles Symington named as Portugal’s “Winemaker of the Year”. Small producers like Wine & Soul also produce world-class red wines like Pintas and achieve ratings from Wine Spectator and Decanter that rival the best from Bordeaux. The Douro is not all about vineyards, but also about families and individuals. The Symington family plays a major role and ploughs back considerably into the community. The soft-spoken Peter Symington is like a walking encyclopedia when it comes to Port production and vintages. His son, Charles, who has taken over from him, is one of the most talented winemakers in the Douro. David Guimareans continues the family tradition in great style.